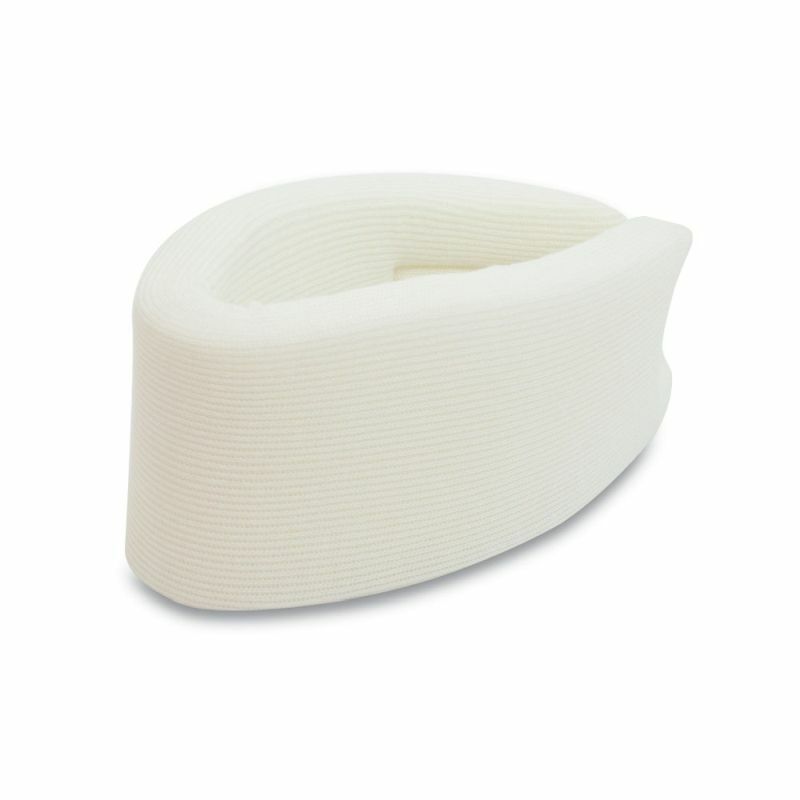 The White Foam Cervical Collar is suitable for a number injuries and ailments pertaining to the neck, such as whiplash, osteoarthritis, cervical spondylosis and rheumatoid arthritis. The collar provides comfortable support for the user and is suitable to sleep in. The easy fastening at the back of the collar makes it easy to secure or remove. The foam collar is covered in 100% cotton white stockinette, making it soft and comfortable wear. It is straightforward to fit and remove, providing the appropriate degree of stabilisation and effective neck support to the injured party. The collar can be hand washed using a mild household soap and cold water; do not use it in the washing machine, as it can have an affect on the shape. Lay the collar on a flat surface to air dry, taking care not to place it near a heater on under direct sunlight. The White Foam Cervical Collar comes in three basic sizes that are easily adjustable to get a comfortable fit on your neck. To gage an accurate measurement, please measure around the middle point of your neck. See the table below for more detailed information on sizes. The White Foam Cervical Collar is usually dispatched via First Class Royal Mail and delivery should be within 1 to 3 working days.